Not to worry, though. What I’m about to tell you will change your breakfast game forever. You can have ham, egg, and melted cheese stuffed everything bagels for breakfast every morning in just one minute and fifteen seconds, for only 240 calories. BAM. YOUR MIND=BLOWN, RIGHT?! I call them Freezer-Friendly Everything Bagel Bombs, because it’s like an explosion of AM goodness in an everything bagel shell. You can nix the everything bagel topping if you’d like, but that’s pretty much breakfast blasphemy as everyone knows that everything bagels are the world’s best bagels. Don’t try to tell me otherwise. To make the Bagel Bombs, I use premade pizza dough. Pizza dough and bagel dough are actually quite similar, and after being boiled, you can’t even tell that you started with pizza dough in the first place. 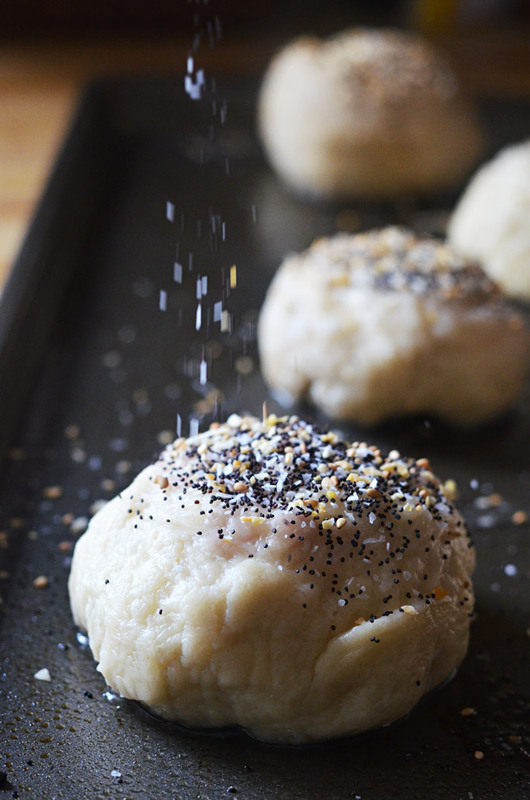 No need to mess with yeast or wait hours for dough to rise! 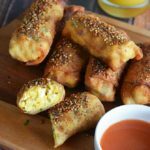 I add diced ham, egg whites, and shredded cheese to my Everything Bagel Bombs, but feel free to sub in whole eggs, ground sausage, spinach, feta– whatever you can come up with! The sky is the limit. I prefer egg whites and diced ham because I get a lot of flavor and protein (which keeps me fuller longer) for a relatively low amount of fat and calories. 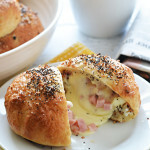 I add the cheese in because “ham & egg bagels” don’t hold a candle to “ham, egg, & cheese” bagels. Again, you just can’t argue that logic. If you’ve hung around here long enough, you know that I consider melted cheese to be its own, highly necessary food group and will not be persuaded otherwise. After they’re boiled, I bake them to a nice golden brown, and then let them cool to room temperature. I individually wrap mine in foil or cling wrap and then freeze them until some hungry and rushed morning when I can microwave them, devour them, and start my day off right! 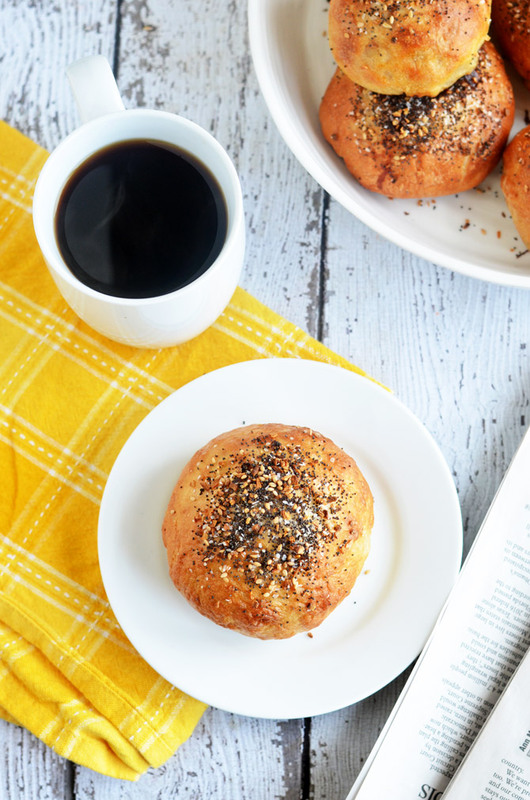 When you make these Everything Bagel Bombs, be sure to take a photo and tag #hostthetoast on Instagram or Twitter. 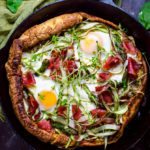 I want to show off your tasty breakfasts! Great idea! I never thought of making breakfast buns but already started pretzel dough in my bread machine now to try them today. I make similar stuffed handwich buns – stuffed with all kinds of left-overs – pulled pork, curry beef, thick stew, taco beans and meat, pizza toppings, – even corned beef and sauerkraut! I keep them in the freezer to make a quick lunch to send to school – they are frozen when school starts, and they thaw by lunchtime. 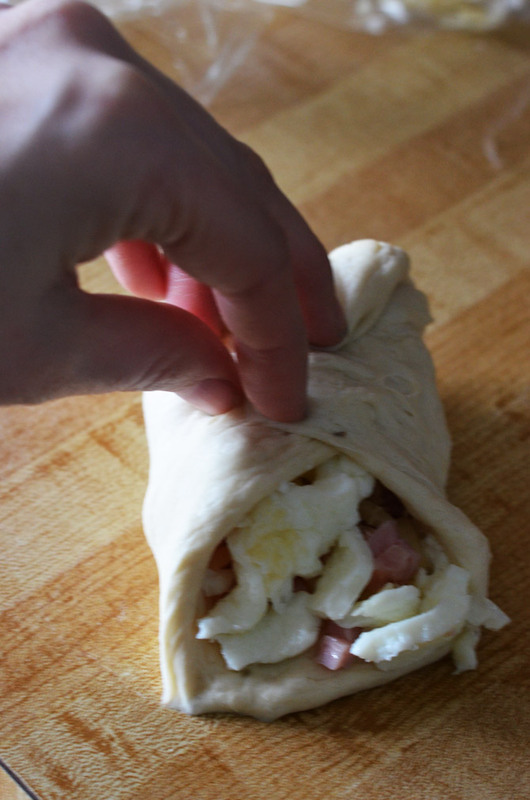 Great for quick lunch making on a busy morning. I make a basic bun dough in my bread machine and then do the same as these instructions without the boil step with whatever fillilng I have on hand. A very useful way to use up leftovers. Everyone loves them – took 3 dozen of them to my 16 year old’s race team potluck – what a hit they were! I’m thinking about getting a bread maker. If you make these bombs do you also add the eggs, meat, & cheese in the bread maker or is that a no no? 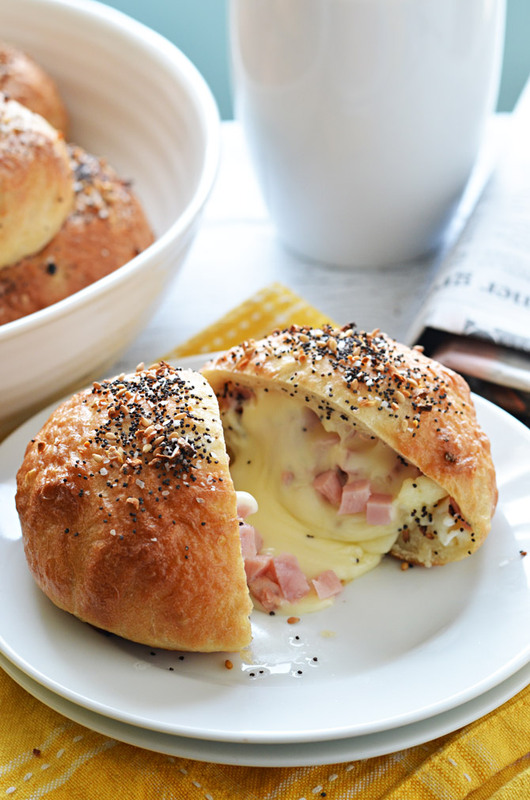 Although I don’t have a bread machine, I would think that if you add the egg and cheese and ham IN your bread machine, you would get ham egg cheese BREAD. I think all the ingredients would just get incorporated into the bread. I think the machines just mix your dough and then bake it. Maybe you’ll get a reply from someone who has a machine. Carb count? What is the function of the honey? Binding or flavor? I’m going to have to check for a good source on that– I didn’t keep track of the carb info as I made these so I don’t want to accidentally give you incorrect information. The honey is mostly for flavor and texture, but if you don’t want to use the honey, you can omit it. It gives a slight sweetness to the outside of the dough but also gives it that gold and slightly shiny look. Otherwise they may be quite pale. I love to put things like this in the freezer for an easy lunch. I hate lunch. It is in the middle of school and most of the quick and easy stuff is just junk. Thanx for a delicious looking sandwich. Um, did you even read the recipe title??? Damn that looks really good!! I found you on reddit through ECAH and I’m glad I came over! I’m making these tomorrow! Could you add sugar to the water instead of honey? Or would it be best to add nothing at all if honey isn’t available. You can also add a bit of baking soda to the water to make a pretzel-like crust if you prefer! 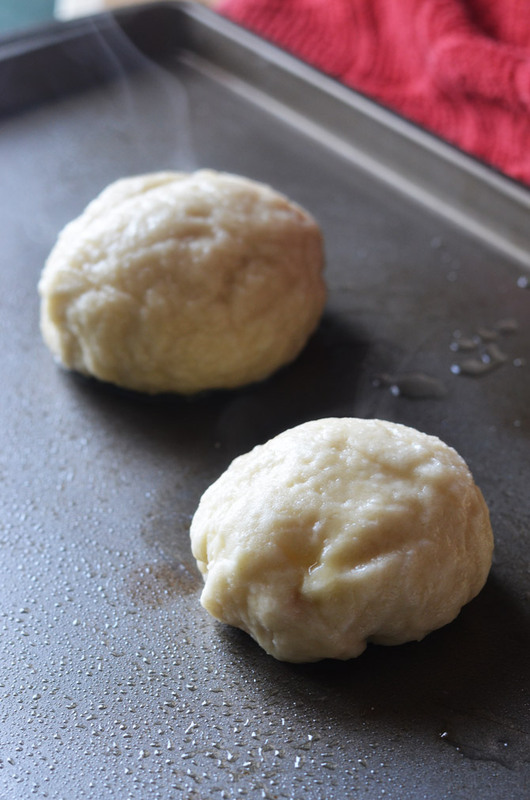 Do you use a recipe for your pizza dough, or are you just using the refrigerated store bought dough? I assumed you were using store bought dough and found it nearly impossible to work with. It tore all over the place and I couldn’t get the seams to stay shut. By the end of it, only 5 out of 8 made it into the oven. I’m not sure how many will survive that…I’m afraid to look haha. I also used store bought dough – pillsbury – It didn’t stretch. At all. And because it wasn’t pliable enough, it wouldn’t stick together and they ended up coming apart and getting filled with water, even when I wet the edges to try and get it to stick better. Next time I definitely wont use this brand at the very least, but its the only dough the local stores carry. I wish I would’ve read through the comments prior to making them because I also bought pilsbury pizza dough and my experience was horrible! When I boiled them they just came apart even though I thought I had good closure! Now they’re just bagel bowls :/ Gonna try and salvage them still, but man that was disappointing! What’s the purpose of boiling them? Boiling them gives them the characteristic bagel exterior. The boiling water makes the outside a bit gelatinous which makes it chewy and bagel-like when baked afterward! I’m gonna try and make those bagle bombs. ..they look so good. I know my friends and family members will love. Going to make with egg whites ,bacon and chess an maybe so spinach. Great idea with the recipe. It would be nice to know the size of a bagel “bomb” next time. The picture s were a little deceiving. I had quite a time making them. The dough kept creating holes. Then the insides began falling out of said holes. Live and learn I guess. Made these last night! I, too, had a bit of trouble with the dough tearing and trying to stuff everything in there. A few popped open during the setting/boiling phases but somehow kept came back together during the making! A bit more labor intensive than I realized but totally worth it for 8 meals. Did egg whites, spinach, tomato and pepperjack. 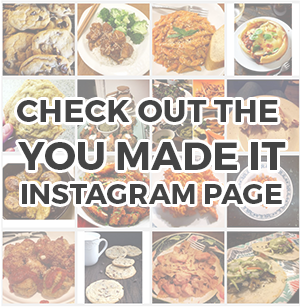 I love your recipes – keep them coming please! Hey! So to start, these look AMAZING! I’m having knee surgery soon and I’m trying to get some food together that my boyfriend can just heat up and these look so perfect. My only problem is that I don’t have a microwave… Could these be heated up in a taster over or even a normal oven? We enjoyed these for dinner tonight. I’d never made bagels before, but these were soo much tastier than store bagels I just might try bagels without the filling. For the record, we made egg and cheddar, plus some egg, swiss and spinach. Both were good. And allrecipes provided the bread machine bagel dough recipe for me. Probably because store bagels are not real bagels. After wrapping in foil and freezing could they be thawed and thrown on a propane/gas grill? Would love to bring these to a tailgate. If so, would the baking time be the same? Not a fan of the lack of explanation about the dough – tried this recipe off of Reddit originally, and the lack of info left my friends and I with a huge mess all over my counter from trying to use store-bough refrigerated dough, which doesn’t work in any capacity for this recipe. Store-bought refrigerated pizza dough is what I used here. It can be tricky to get the hang of– you really have to be very gentle with the dough or it will tear. Unfortunately, that’s just the nature of pizza dough, but once you get the hang of it, it becomes much easier. I’m so sorry you had a difficult time! Just buy dough from your favorite local pizza joint. If you’re worried about your bombs “exploding” in the water, you can try steaming them for 5 minutes instead. I used a bamboo steamer, but I’m sure any steamer would work just as well. Just make your bombs and put them seam side down on little squares of parchment. The parchment isn’t entirely necessary, but it does help stop the bun from sticking to the steamer, plus it makes it extra portable. It can go straight into the oven (after dipping in egg wash & everything bagel topping) and bake according to the recipe. BTW, if you don’t want to use purchased pizza dough, the pizza dough recipe from TheKitchn is what I used and it came out a treat. Thanks for such a fun idea. These made a massive mess. Exploded in the water and one exploded on my oven. What a waste. I had the same issue – I only had two make it into the pot and neither of those made it. With the size of them, I don’t even know it this could count as a meal – they seemed tiny! How big are they supposed to be? This seems like way more of an undertaking than I expected… once I get my self-esteem back I’m going to try again, though. Has anyone tried this with gluten-free dough? Also, I don’t have a microwave. What would be the best way to reheat in the oven after freezing? Maybe try freezing them before baking and then sticking them in the oven with a little extra time? Otherwise reheat them at a low temperature in the oven slowly so that you don’t end up burning the bread. I just made these using 2 13.8 oz times of pizza dough from the refrigerated biscuit section at the store. I wanted mine large so I divided each tube into 4 sections for a total of 8 dough balls. Followed the directions for letting them rise, then rolled them out with a rolling pin before stuffing and sealing. I used half of a diced ham steak, 7 whole eggs, and just eyeballed the cheese for the filling. I was worried about them bursting as some reviews said, so I moistened the edges of the dough rounds with a bit of warm water before pinching, and it worked great! Not one burst. I watched the time carefully when boiling them, and had no issues. All 8 made it to the oven and baked for 30 minutes. 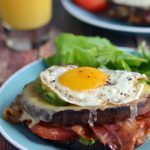 They ended up about the size of my husband’s fist, so perfect for a hearty breakfast! These worked super well. No problems at all! Just be delicate with the dough and boiling. Used grocery store pizza dough like in the recipe, turkey sausage, spinach and parmesan. YUM! Easy and works like a charm. I hate making breakfast in the morning so made these tonight for tomorrow morning with the family. One of my boys came home from work late for dinner. I let him have one and he loved it. I won’t get to try them until tomorrow. 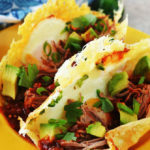 I might use a muffin pan in the future and can’t wait to try leftovers ( my wife’s pulled pork, especially)!!! Can you skip the boiling part and just bake these? 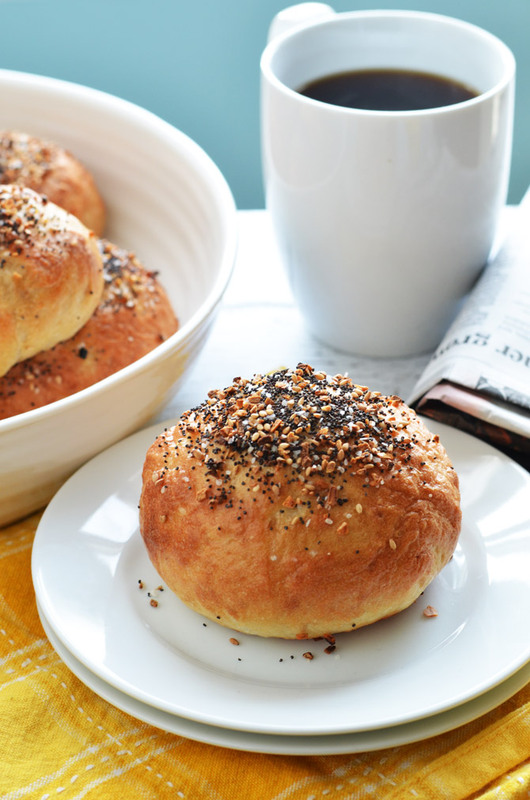 The boiling step gives them the characteristic bagel texture and flavor. You can opt to just bake them instead but they won’t be very bagel-like. I made these the other day with refrigerated pizza dough and didn’t have a problem. I made the egg, ham and cheese. My problem was the cheese seemed to disappear. Is it possible to be absorbed by the dough? Or did I not add enough cheese? Other than that these are the greatest! My cheese also disappeared.. out onto the parchment. I sealed them well, I thought, and they all survived the boiling. Maybe I’ll try a less greasy cheese next time. I just tried making these tonight and followed everything to a T and then every single one of my “bombs” completely opened in the water ruining the entire thing. Why did this happen as they were pinch sealed tightly and thoroughly. Any ideas? Skipped the boiling with the rest and put right in oven in hopes they turn out decent. They seemed really easy until this part though. Ugh!!! I’m so frustrated all those ingredients went to waste in the first set of bombs. The first thing that comes to mind is that the dough might have been ripping open because of too strong of a boil. You really want to keep it at a gentle boil the whole time for these. But if that’s not it, it’s really hard to say without having been there. I’m sorry that you had trouble with the boiling! I also had trouble with them opening in the water. After reading above, I’m thinking maybe my boil was too forceful. I ended up baking the rest, took them out at about 18 minutes because any longer and they would have burnt. They had more of a pretzel taste. Will try again with a softer boil. Just curious. If the pizza dough is so difficult to work with, why not use actual bagel dough? Making a simple pizza dough from scratch is not exactly difficult. I had no problems with holes or tearing. Would like to know what cheese you used, that looks so deliciously gooey in the photo. Almost looked like a hollandaise sauce. Has anyone reheated these in the oven? How long and what temperature? Thanks! I made these tonight and they were great. I used 400 grams of pizza dough flour to make 2 balls of pizza dough the other day so had one ball left over. I split that into 6 balls of about 40 grams each. Filled with chopped a cup of chopped broccoli, 110 grams of smoked ham and 80 grams of cheddar divided equally. Topped only with sesame seeds I had on hand. Cant wait to make a bigger batch and fill them with buffalo chicken, blue cheese, carrots and celery. Thanks for posting!